In order to activate a smartPerform license, first turn smartPerform onto Edit Mode/CMS Mode. 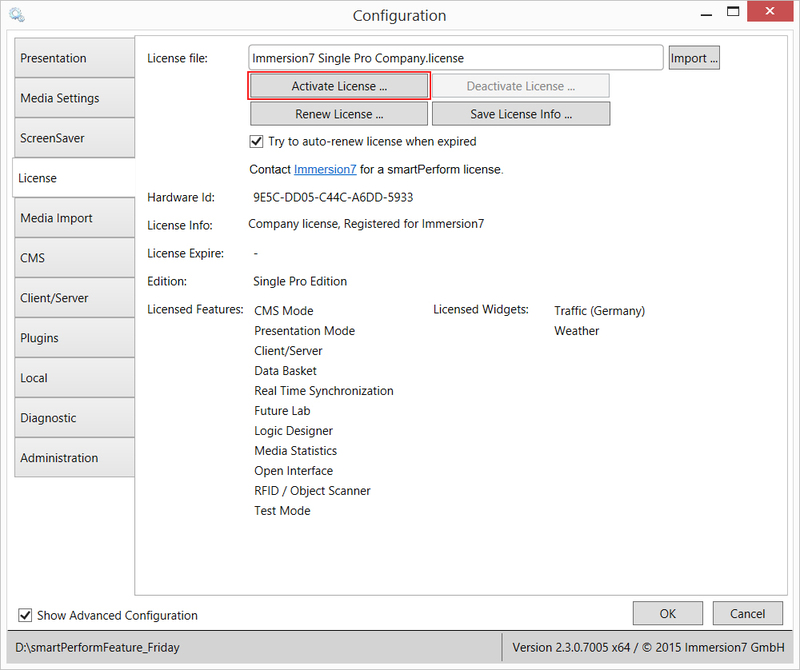 In the configuration (Config), you will find on the left side of the window, a tab named “License”. Here, you can activate, renew or deactivate a license. 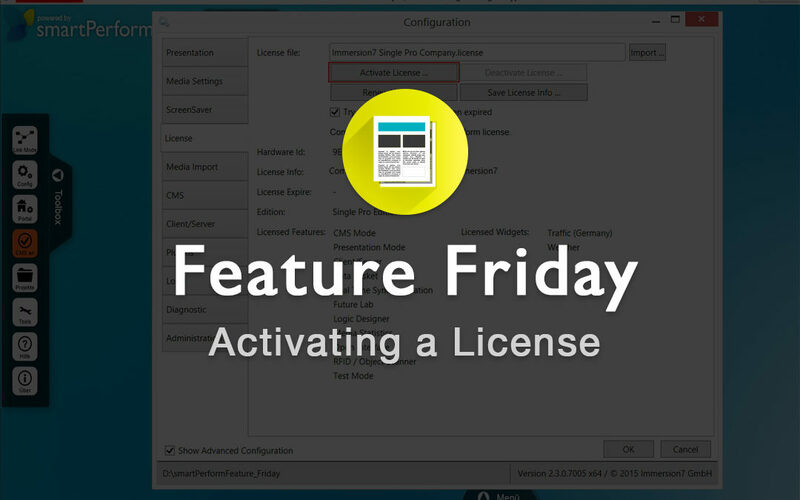 Clicking on Activate License opens up a new window. In this new window, you can enter the appropriate activation key. Confirm by clicking OK. After a successful activation, you will be prompted to restart smartPerform. That’s it! If you don’t have an Activation Key but a license file readily available, just click “Import” located at the top-right. Select the license file and click ok. Here, too, a reboot is necessary to complete the process. Have you received a recently purchased license dongle from your partner? Simply plug the dongle into one of your USB slots before starting up smartPerform. Make sure that the license dongle is plugged in while using smartPerform. Information regarding your license can be stored manually and sent to smartPerform Support. This is necessary if an online activation is not possible – Support will then receive the appropriate license file oder dongle sent by your partner.